I know what you're thinking, another post about hair, but this isn't just great for my short hair, it's great for long hair too. 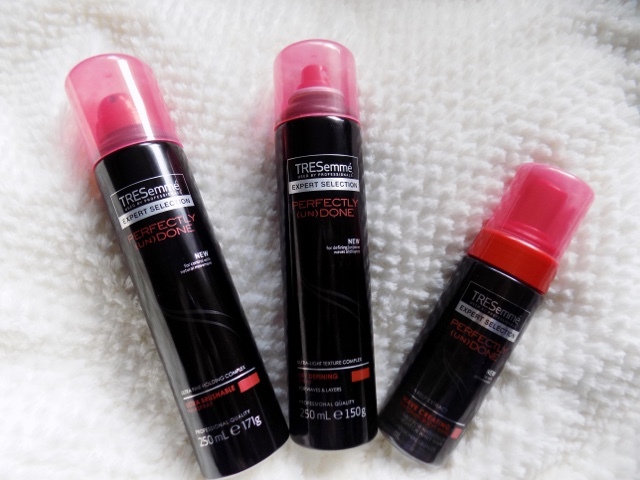 I wanted to share my thoughts and review on the TRESemme Perfectly (UN)Done hair styling range. I have three products to talk to you about today, I haven't tried the entire line because right now I don't have the need to try any of the other products which consists of a Silicone Free Shampoo and Conditioner as well as the Sea Salt Spray and Root Lifting Texturising Dust. So first product I am going to talk about is the Wave Creating Sea Foam which comes in at £5.49. 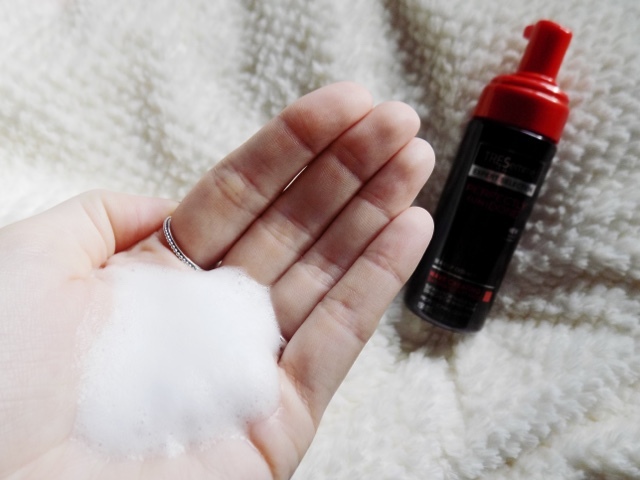 Now, this is an ultra light foam which is infused with Sea Kelp extract to create natural looking waves without making your hair look greasy or weighing it down. Simply section off you hair and apply from root to tip and either leave to dry naturally (which is what I always try to do but if I have to blow-dry it), my preferred way is to tip my head upside down, and then you can really get into the roots - that way you get added volume and texture. 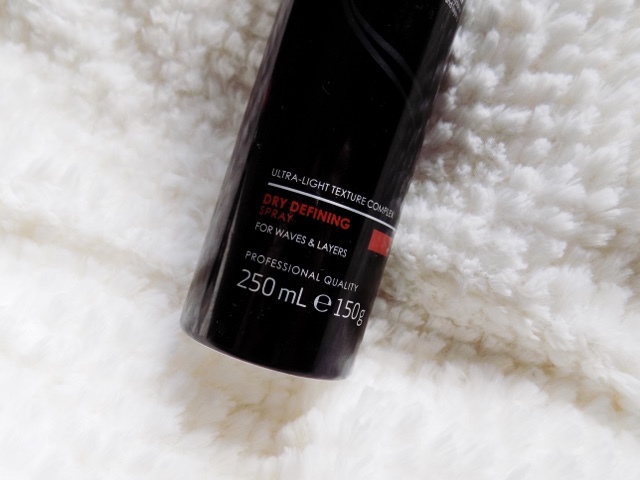 Now for the Dry Defining Spray (also priced at £5.49), this is a lightweight dry spray which makes the best of any layers you have in your hair or soft waves (which works great with the above product). This doesn't leave any gritty feeling or weigh the hair down at all, in fact you don't even feel it in the hair at all. It simply makes the best of what you already have, and defines waves and layers. I love how this makes my hair look and it's even better with my short 'do. 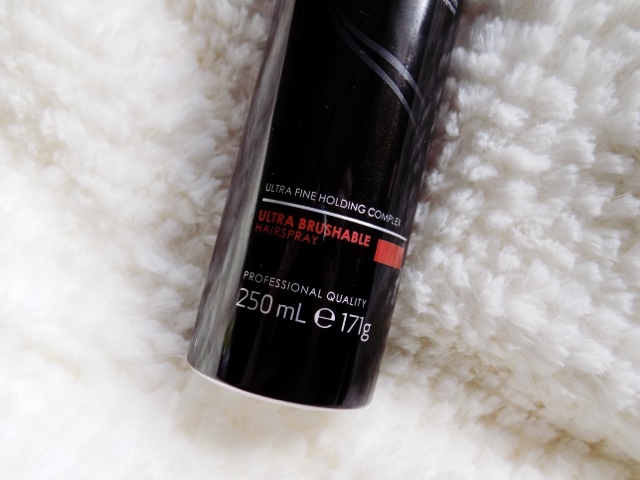 Finally is the Ultra-Brushable HairSpray (£5.49), this didn't really stand out to me that much but once I finally picked it up, I was pleasantly surprised. This hairspray is exactly what I want in a hairspray. It's light-weight, doesn't leave a residue or your hair feeling crispy and if like me, you run your fingers through your hair umpteen times a day, this protects from frizz yet still allows your hair to move and so you can twist and twirl it as many times as you like, brush it out if needed and it still holds curls and styles like any other hairspray. I love this stuff and it's great for everyday use too. The Root Lifting Texturising Dust and the Sea Salt Spray cost £5.49 and the Silicone Free Shampoo and Conditioner are only £4.99 (but on offer in Superdrug here for £2.48 when I upload this), so the entire range is very affordable, you can purchase them from most major supermarkets and drugstore so I highly recommend picking up some products from the line. Once my current shampoo and conditioner run out I will definitely going to be buying the ones from Tresemme. 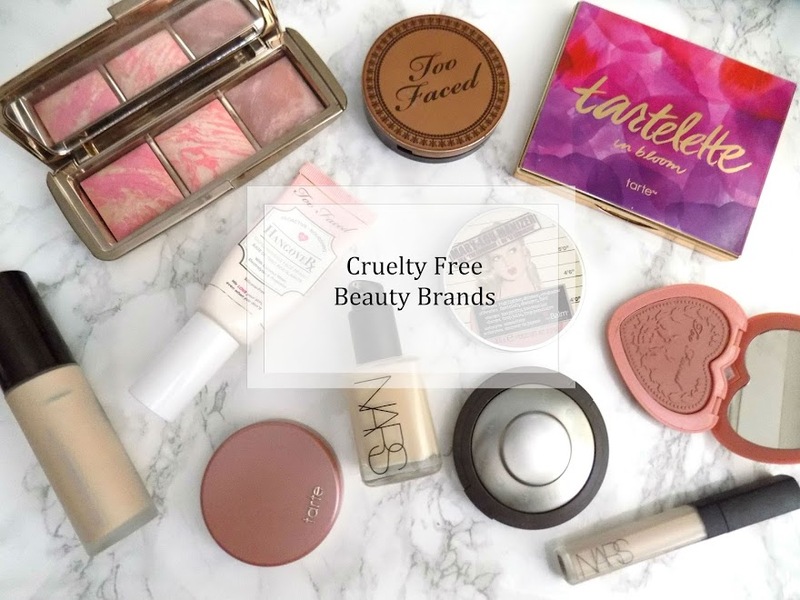 I hope you liked this review and if you want to see more hair styles and hair related posts on my blog then please let me know, since having my hair cut I have been getting out of the funk I was in with my long hair and trying new things and I am loving it.